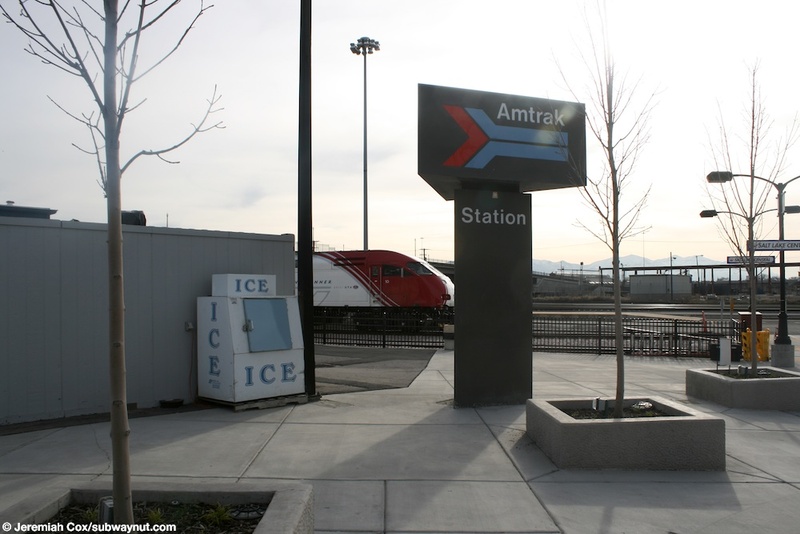 The history of intercity rail service in Salt Lake City since the creation of Amtrak in 1971 is relatively varied and a tale of three Amtrak stations, the current one by far the worst, a modular shack open since 1999 with no real signs of it moving anywhere or being improved. The two historic railroad stations are still presently open to the public as public spaces although the railroad tracks have been moved two blocks westward When Amtrak was created, the Denver and Rio Grande Western decided not to join the system and kept operating its "Rio Grande Zephyr", this day train to Denver via the Moffat Tunnel ran triweekly and stopped at that railroads historic station. 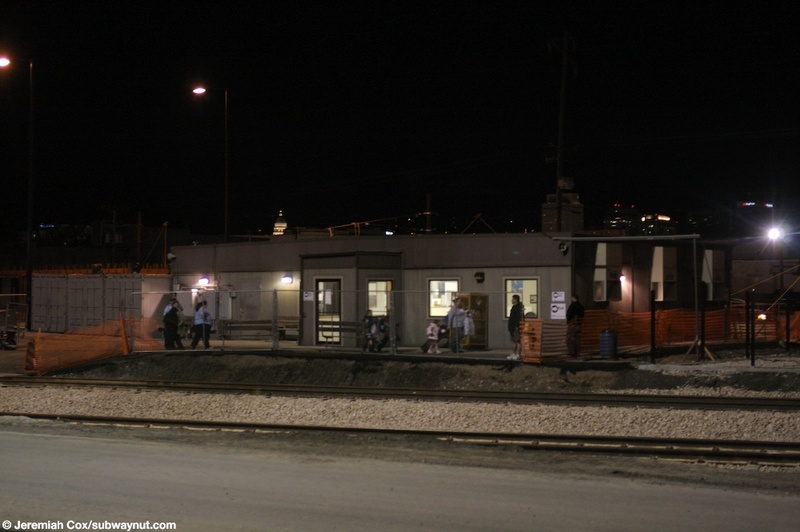 The Amtrak cross-country route through Utah that debuted with its creation in 1971, called originally "the City of San Francisco," operated triweekly via the historic Overland route via Wyoming and made its station stop for the Wasatch Front in Ogden. It was soon renamed (in June 1972) the San Francisco Zephyr, and upgraded to daily service. The first Amtrak train to come to Salt Lake City arrived in June 1977 as the Pioneer, a brand-new train which originated and terminated in Salt Lake City running to and from Seattle via Southern Idaho. It connected with the San Francisco Zephyr up in Ogden running as an Amfleet service with only coaches. The station used in Salt Lake City was the historic Union Pacific Station. On October 28, 1979 it was joined as an intermediate stop by the Desert Wind originating in Ogden to also connect with the San Francisco Zephyr and running south to Los Angeles via Las Vegas. In 1981 thru-cars began running on the Desert Wind as it was updated to Superliners, and in 1982 thru-cars began running on the Pioneer as it became a Superliner train and these were exchanged in Ogden. 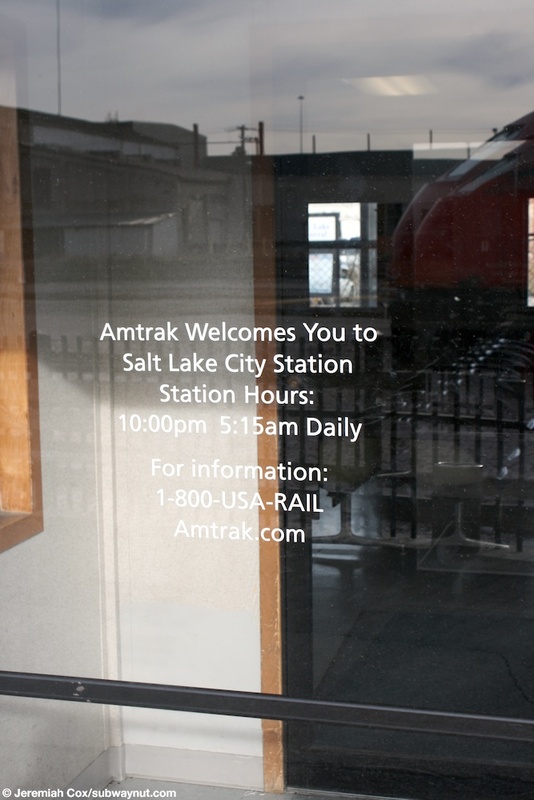 In 1983 everything changed and Salt Lake City became the primary Amtrak station in the Wasatch front. 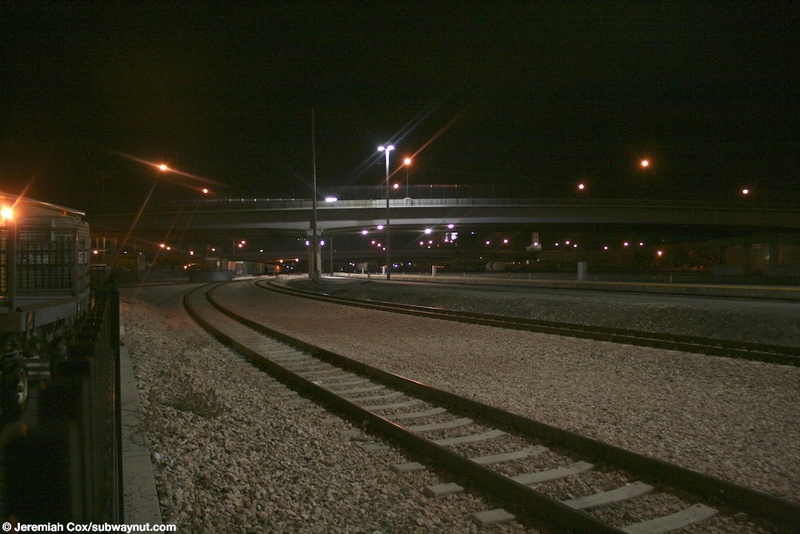 The Denver and Rio Grande Western railroad decided they wanted out of the passenger rail business, and on April 25 a changeover was to occur. The San Francisco Zephyr was to be rerouted out of Wyoming (ending rail service in that state) and via the Rio Grande Route being renamed the California Zephyr. The Thisle mudslide occurred on the April 14, 1983 closing the Rio Grande Main Line, the Rio Grande Zephyr ran its last week in operation just between Grand Junction and Denver. On July 15, 1983 the California Zephyr was finally rerouted with the Rio Grande route being reopened. The split-offs of the Pioneer and Desert Winds were moved to Salt Lake City as well. At that point the Union Pacific wanted Amtrak out of their station wanting the track and office space for their operations, and the Denver & Rio Grand Western had donated their station to the Utah Historical Society to be its main offices in 1977 (Arnold Irvine, 'Plenty of Places for Amtrak' Deseret News, July 23, 1984, Link). 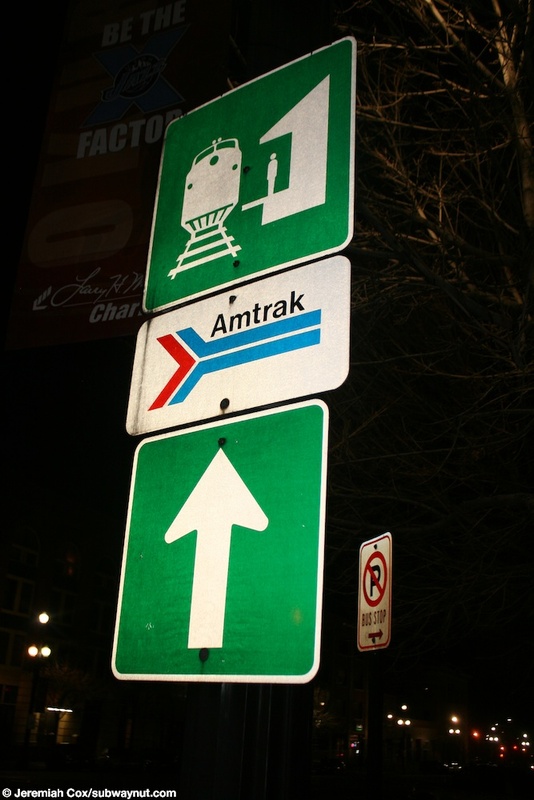 On the overnight of October 25-26, 1986 the Amtrak station served moved four blocks south from the Union Pacific Station to the Denver & Rio Grande Western station to save money on switching costs and finally end a strained union with the Union Pacific Railroad. Amtrak originally thought of moving to a renovated dilapidated automobile warehouse west of town but Utah had them move to the Rio Grande Depot instead (Angelyn Hutchinson, "Amtrak trains move a few blocks to new home in Rio Grande Depot," Deseret News, October 26, 1986). In 1991 the Poineer was rerouted via Wyoming (and the meeting with the Zephyr moved to Denver) but the Desert Wind was still coupled or split in Salt Lake City. On May 10, 1997 both the Pioneer and Desert Wind were discontinued, leaving the California Zephyr as the lone train to pass through Salt Lake City as it does today every evening. The final move came as part of city of Salt Lake City project to move freight trains slightly west of downtown with the last freight trains passing through on the old now removed tracks in late 1998 (John Keahey 'Crews Begin Removing Train Tracks Downtown' The Salt Lake Tribune, May 5, 1999 Link). 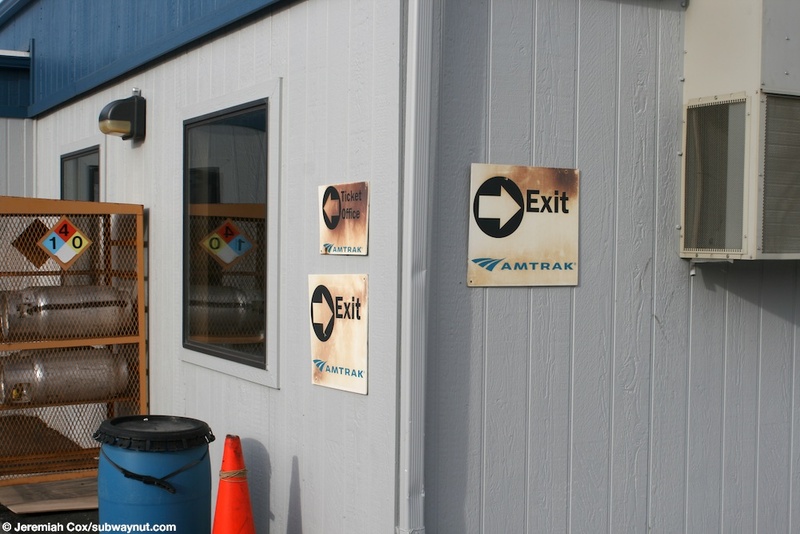 In August 1999 Amtrak moved out of the grand Denver and Rio Grande Station and into its 'temporary' station at the Salt Lake City Intermodal hub where it still stops today, the building completely unimproved. The Salt Lake City Amtrak station is presently a modular shack at the southern end of the Intermodal Transpiration area that has slowly been built around it my notes from my first visit in 2008 when I stepped off the Zephyr in the middle of the night: “A conductor referred to the station as a disaster in the middle of a huge construction project. The station building is small and temporary looking. A construction sight walkway separates it from the station platform. That is the biggest disaster. 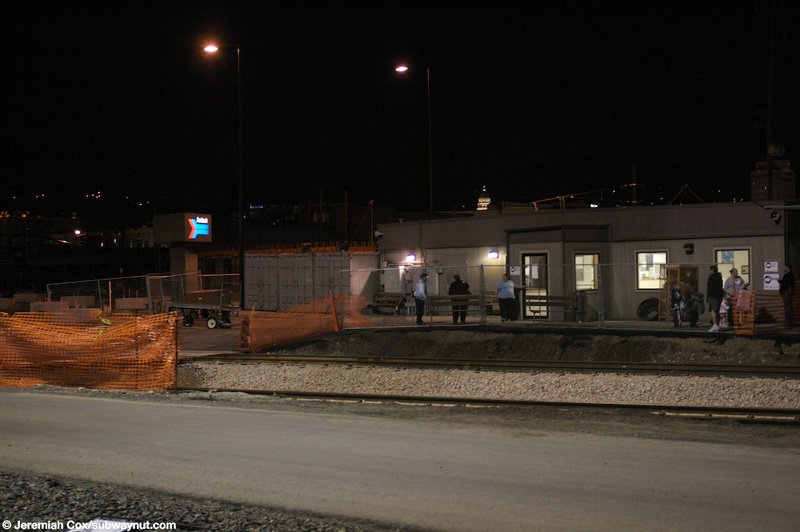 The city of Salt Lake who built the new station and platform decided to build a mini-high level platform. The platform is at the height of the Superliner cars, but it doesn't go all the way to track level and up against the train doors, there is a six-inch if not more gap between the train and the platform. 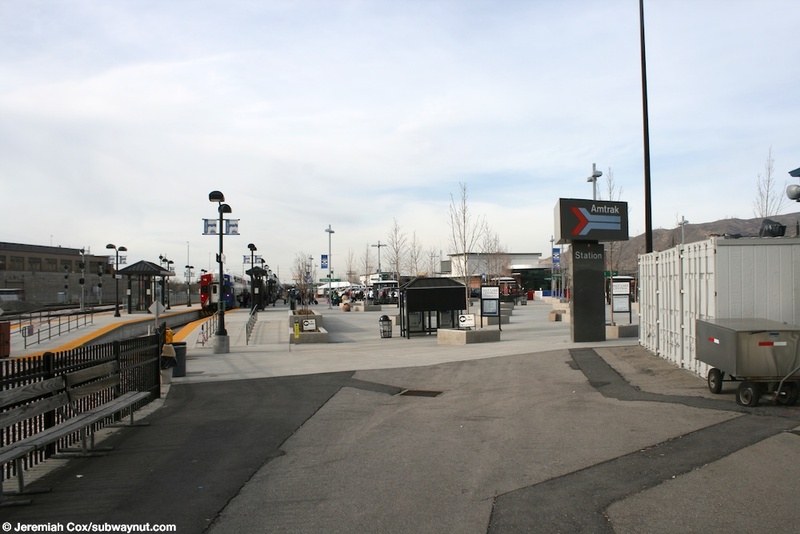 The station platform is still that way but the crossing to reach the modular station is now over a tail track used by the Front Runner who's two tracks and platforms are just north of Amtrak's. 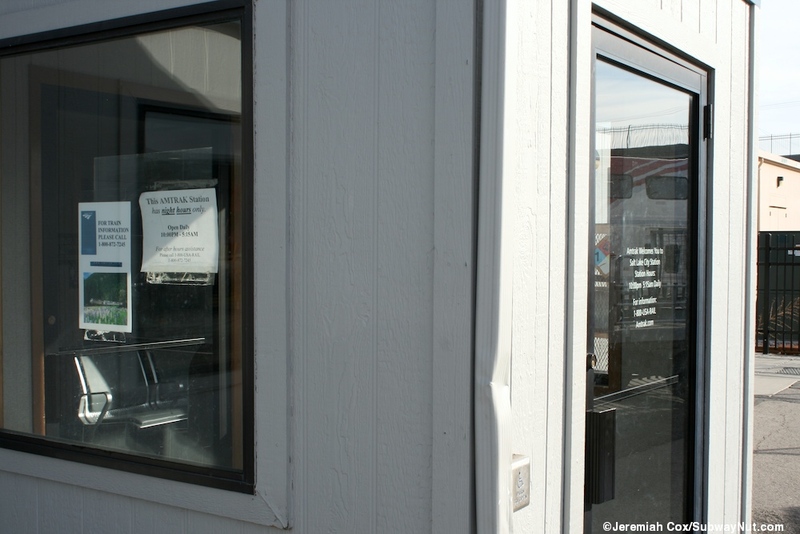 The blue modular station is open overnight only and has a Plexiglass ticket window with an opening in the wood. 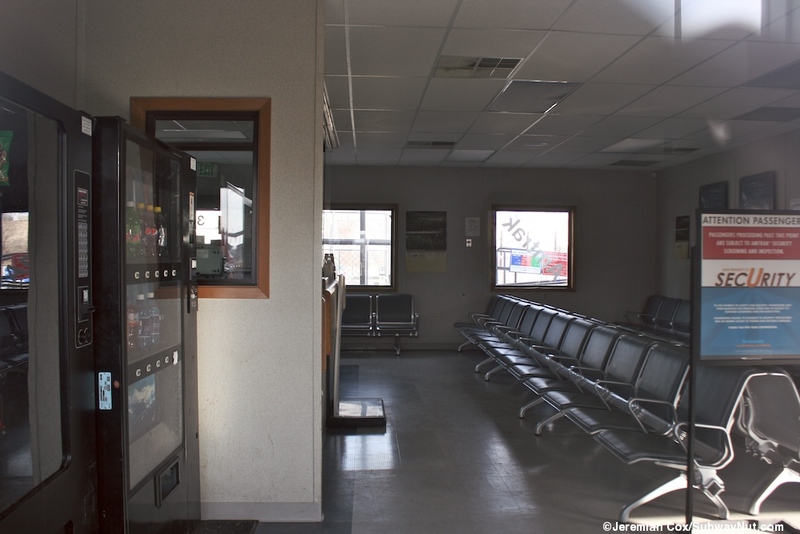 There are restrooms and a few vending machines and a cramped waiting area of black chairs. On my two trips through the stop it did not seem all that busy. Boarding is done by the new conductors (Salt Lake is a crew change point) collecting everyones tickets inside the depot before boariding (and often the train even arriving) by issuing boarding passes specifying a car number (but not a seat assignment in the coaches). 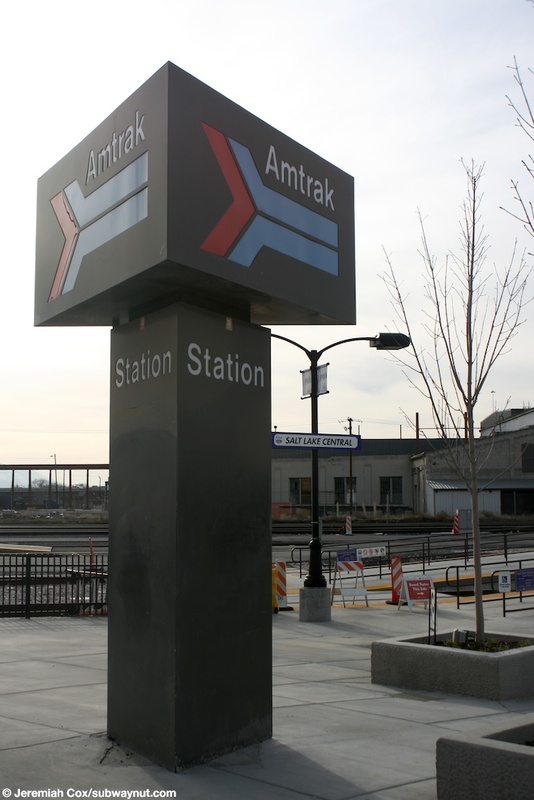 Outside is a triangular post that used to say Amtrak station with the pointless arrow but has since been replaced by a more modern narrow sign with the new logo. 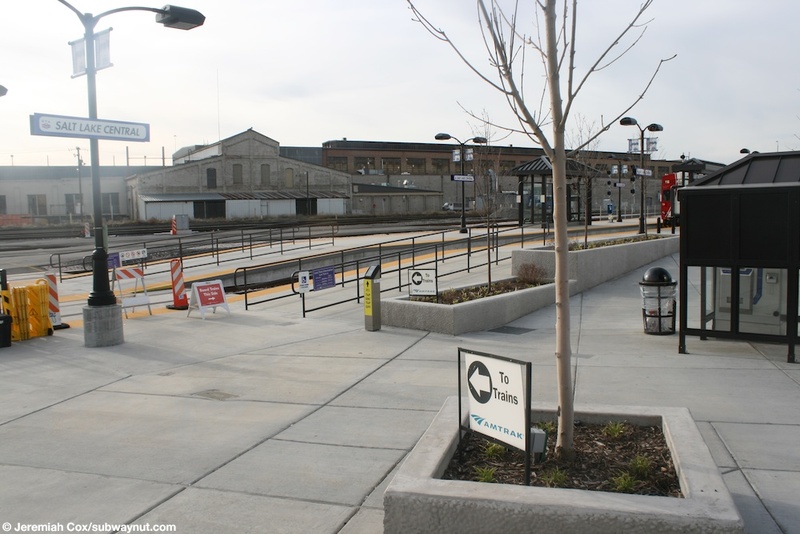 Today the FrontRunner Commuter Rail to Ogden platforms are passed at the same crossing to reach the Amtrak platform (they run north), and the southern end of the TRAX Light Rail platform is directly alongside the depot. 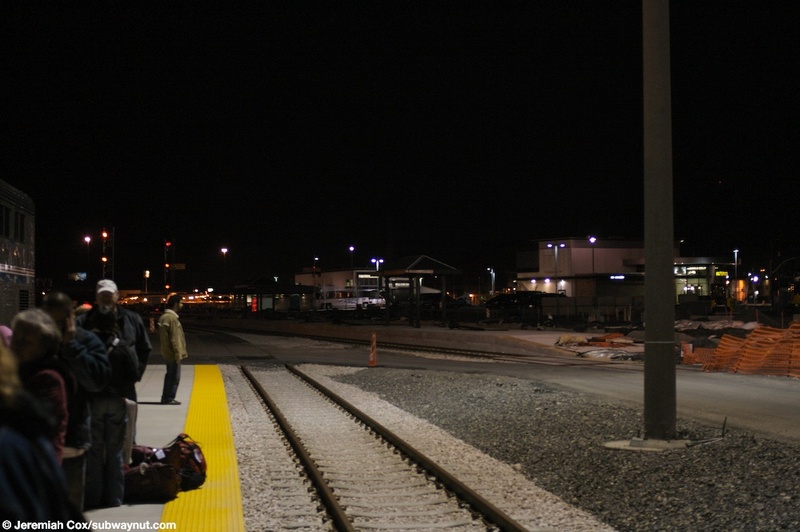 A view from the station platform of the very modular Amtrak Station building at Salt Lake City. Another view of the station building with an old Amtrak sign with the old 'pointless arrow' logo. It's nicely illuminated. 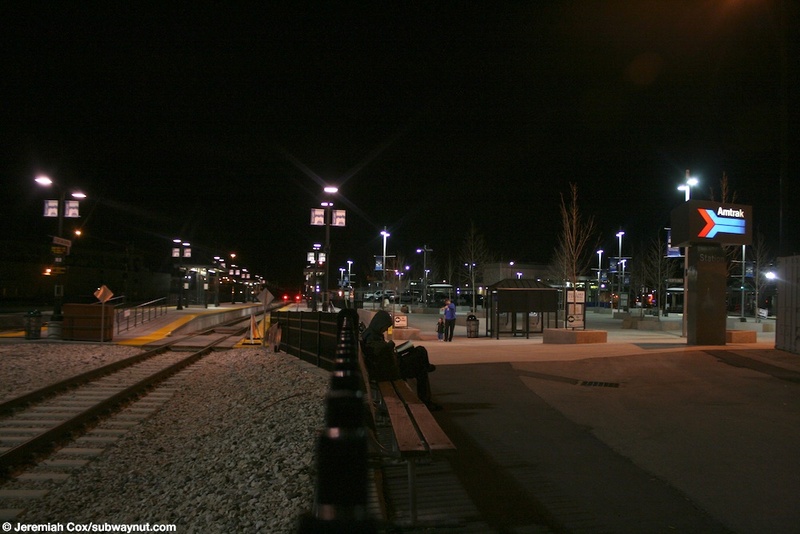 Both the westbound and eastbound Zephyr stop at Salt Lake in the middle of the night. Orange construction barricades. 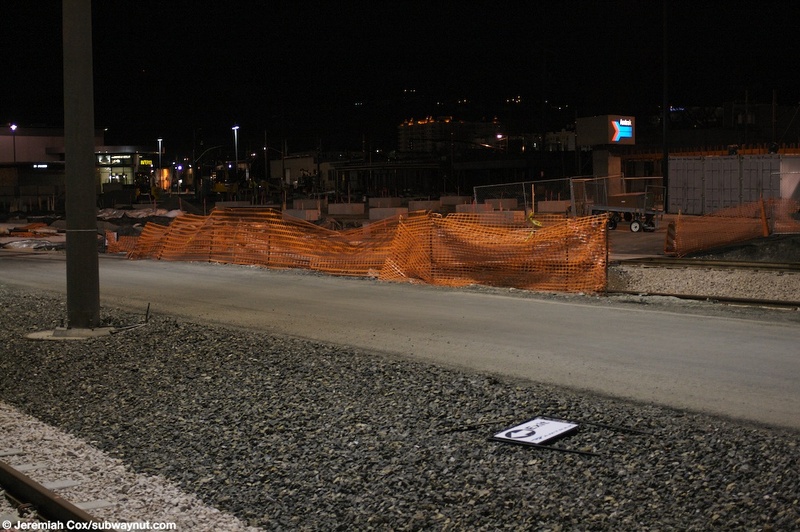 The current state of the Salt Lake City station, in it's a construction site that will one day become decent developments. Looking down the second track on the new concrete platform at Salt Lake City. 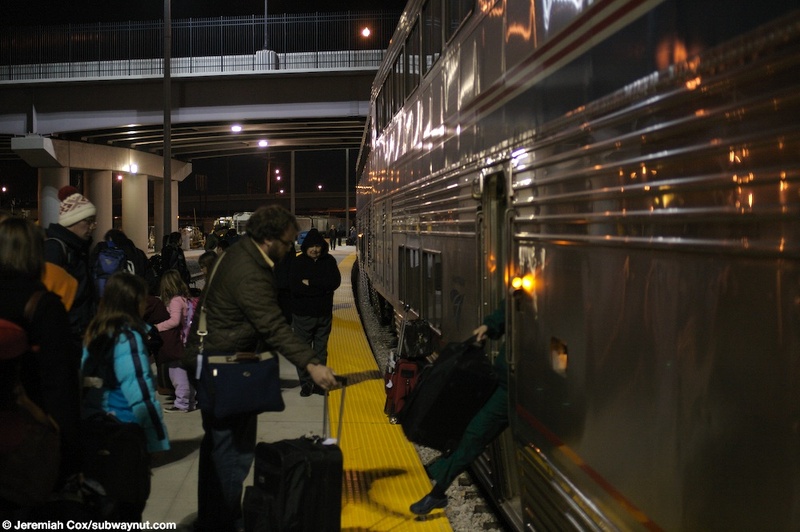 People wait to be allowed to board an hour late Eastbound to Chicago California Zephyr at 6AM. Passengers wait in the center of the very narrow concrete platform at Salt Lake City. 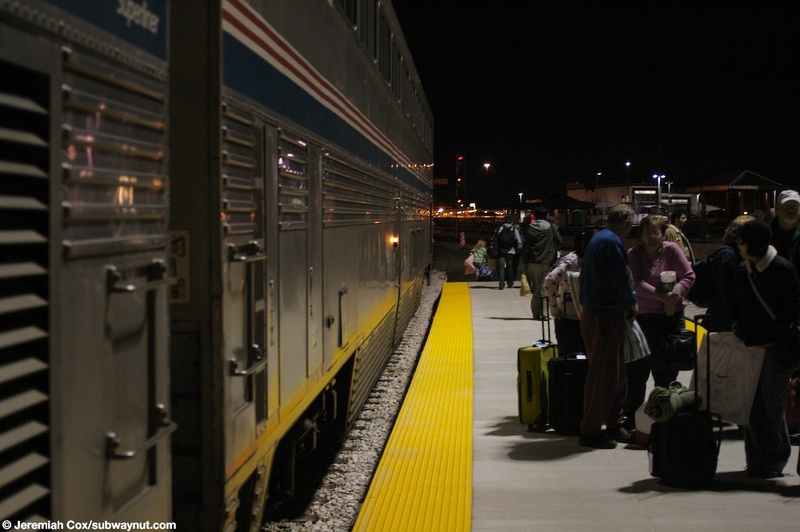 A view of the last coach of the California Zephyr with passengers trying to board it. 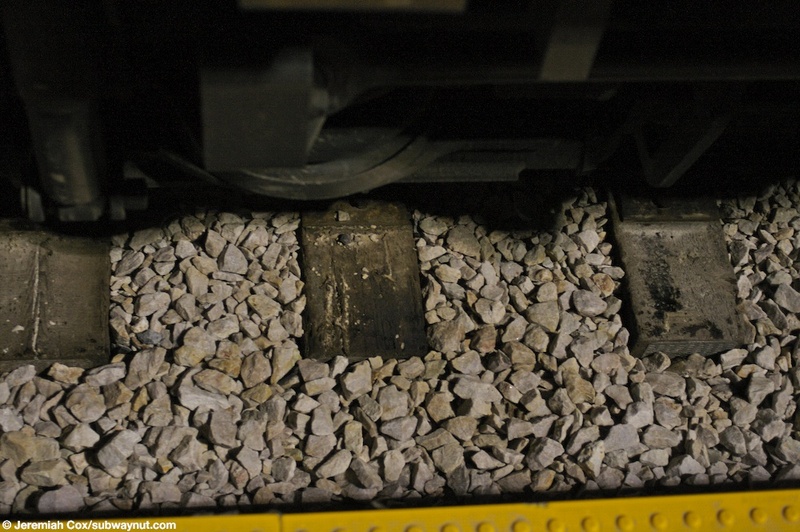 There is one problem with the high level platform at Salt Lake City, they somehow left a six inch gab between the train and the platform. The still pointless arrow pillar at SLC. 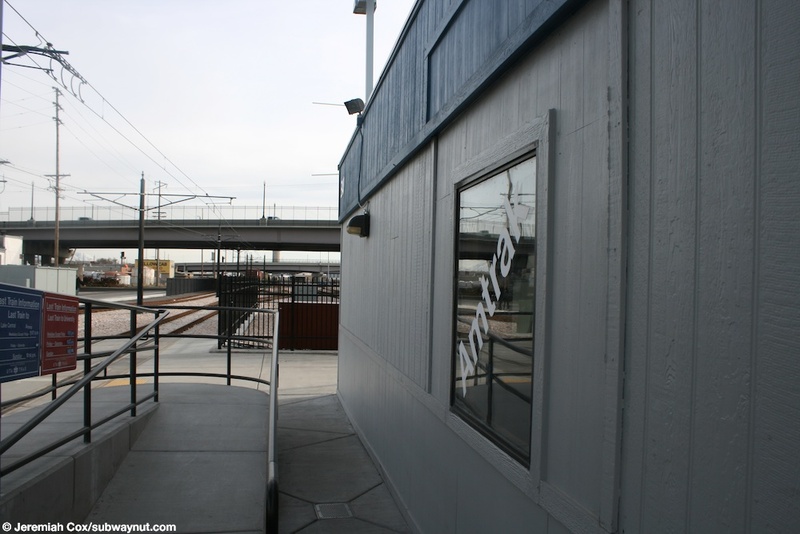 A window on the Amtrak Station building alongside the Light Rail Station. 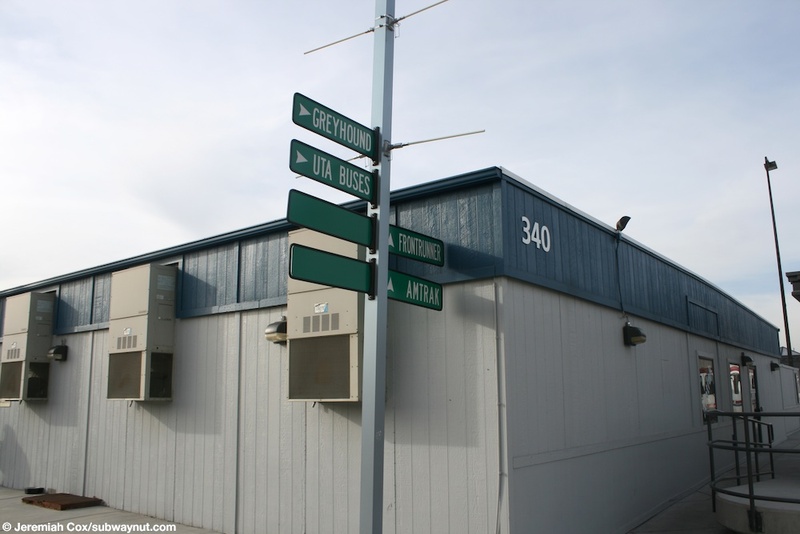 The SL Central signs directing people to the various transit services on the side of the Amtrak Station Building.